When the cold weather rolls in, it’s hard to resist the siren smell and taste of pumpkin spice. 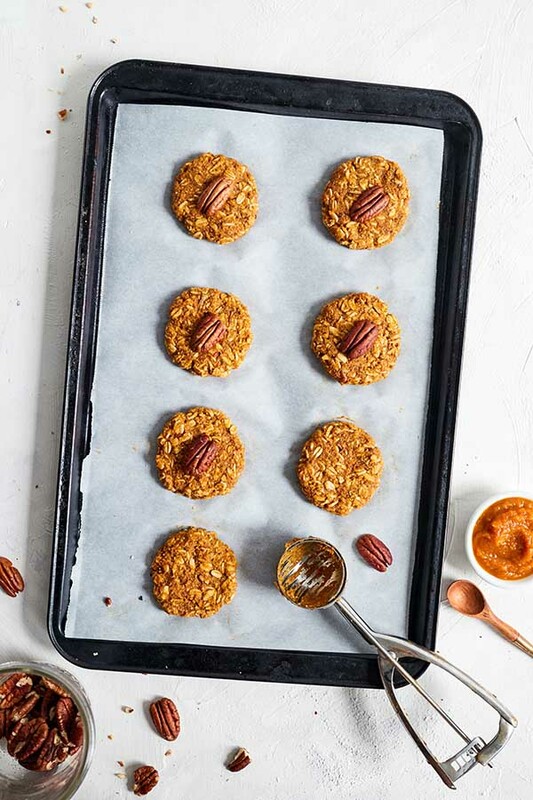 This pumpkin cookies recipe is healthier than your standard cookie recipe — oats and almond flour replace white flour as the base, and there’s no oil! 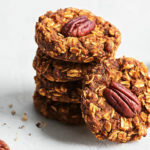 These pumpkin cookies are also gluten-free, but if you have a gluten sensitivity/allergy, make sure the oats you buy are “certified gluten-free.” Oats are often processed alongside gluten-containing grains, so brands will specifically label their oats if there’s no risk of cross-contamination. With old-fashioned rolled oats and a spice blend that includes ground clove, ginger, and pumpkin puree, these Pumpkin Cookies are out of this world good. Preheat oven for 350° F.
Lightly coat two baking sheets with spray. Set aside. Combine oats, almond flour, cinnamon, cloves, ginger, and salt in a medium bowl; mix well. Set aside. Combine egg, pumpkin, and maple syrup in a large bowl; mix well. Add flour mixture and chopped pecans to pumpkin mixture; mix until blended. Drop by rounded Tbsp. onto prepared baking sheet; flatten cookies with a spatula. 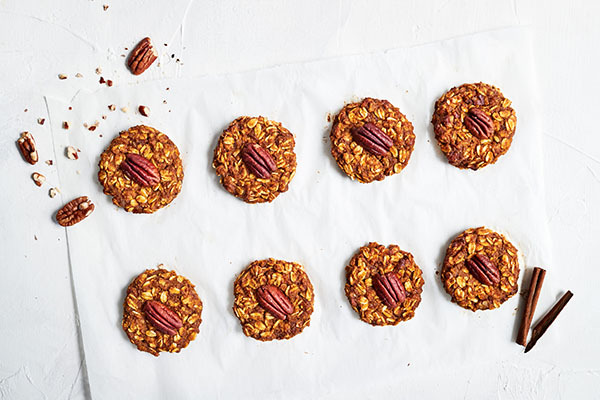 Top each cookie with a pecan half. Bake for 14 to 15 minutes or until firm. 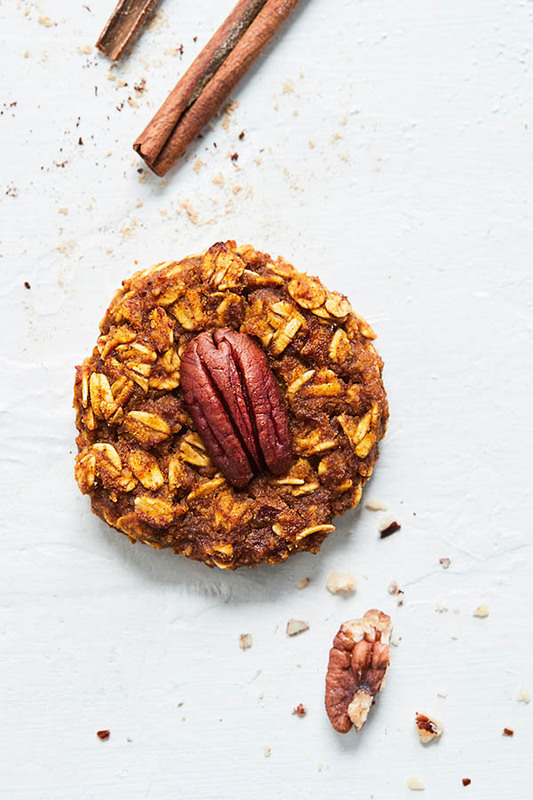 Watch Tony Horton make his version of this pumpkin cookie recipe.